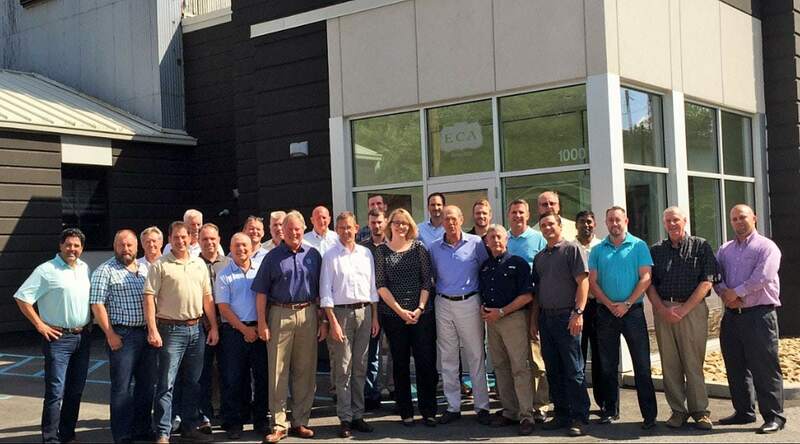 Equipment Corporation of America (ECA), a leading distributor of foundation construction equipment, has just successfully completed a customer service-focused training program from one of its key manufacturers, BAUER Maschinen GmbH. ECA’s American and Canadian employees reported to the training facility at its Pittsburgh headquarters from July 11 -13, 2016 for the BAUER Customer Benefit (BCB) Training. The program was conducted by BAUER Maschinen’s Director of Worldwide Sales Christian Gress and Deputy Director of Marketing Barbara Wasmuht.